We have had a busy week around Farragut State Park. The best part was our family being here and the worst of it was having people (not our family) behaving badly in our campground. My parents came from Vancouver and Seth, Natasha and Archer flew up from Boise and we enjoyed most of a week together. We even had a surprise visit from cousins Venita from Spokane and Guerin from Ashland. 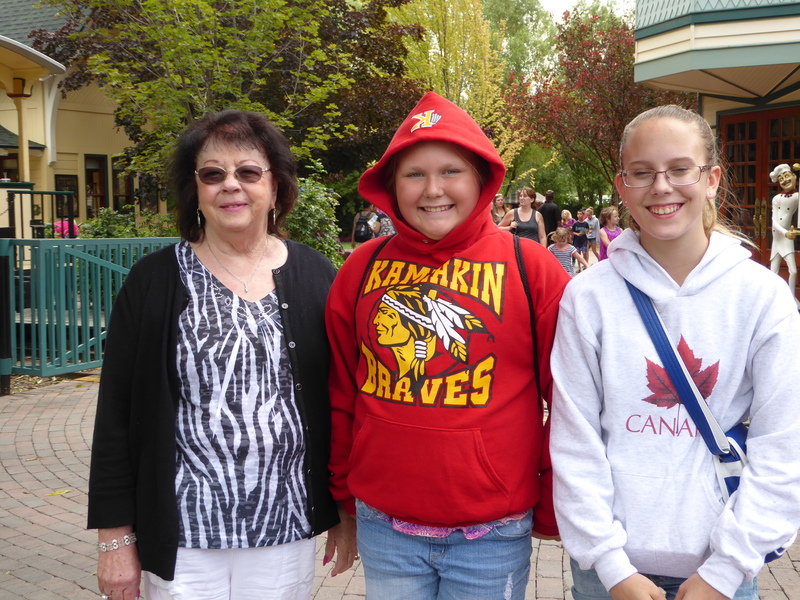 On Sunday, Aunt Bonnie and cousins Kylee and Ashley came from the Tri-Cities. 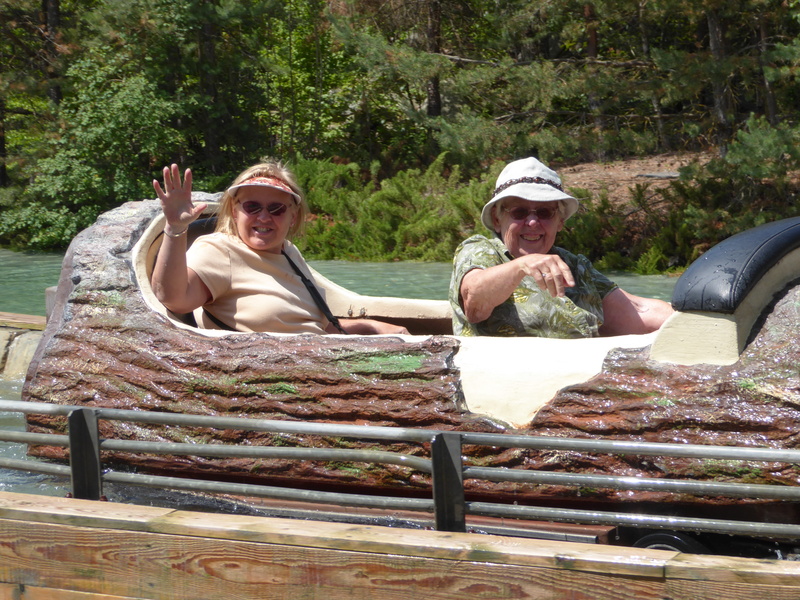 We spent Monday at Silverwood Theme Park north of Coeur d’Alene. Archer was too short to be able to ride many rides. He only tolerated riding the yellow elephant and the carousel but seemed to enjoy the train and hanging out with grandpa (who doesn’t ride rides). 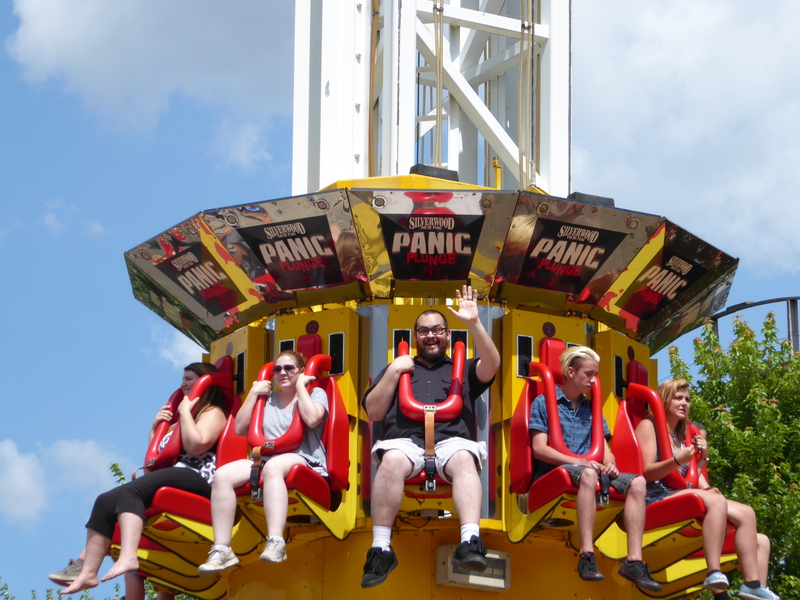 The rest of us enjoyed rides in the amusement and water parks. 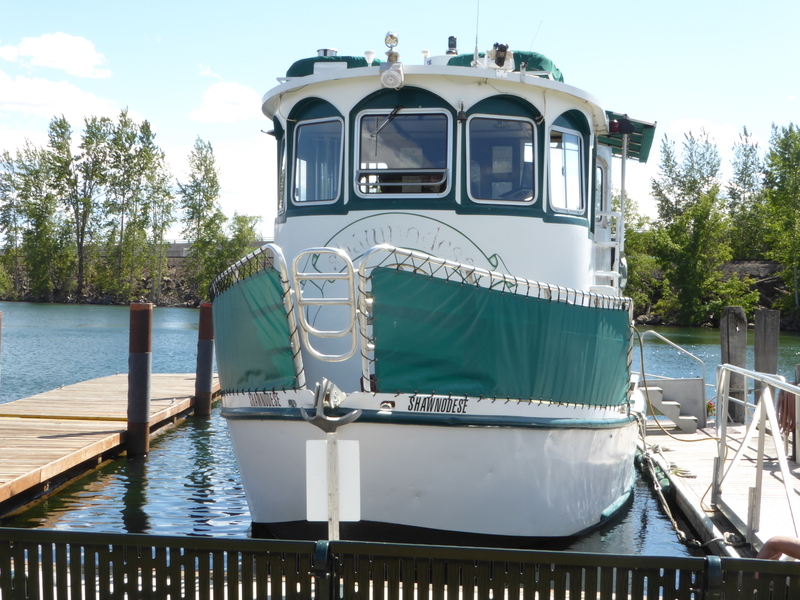 We also spent an afternoon on a Lake Pend Oreille cruise on the Shawnodese. We were able to spend lots of time visiting and playing with Archer. That was so fun for us! 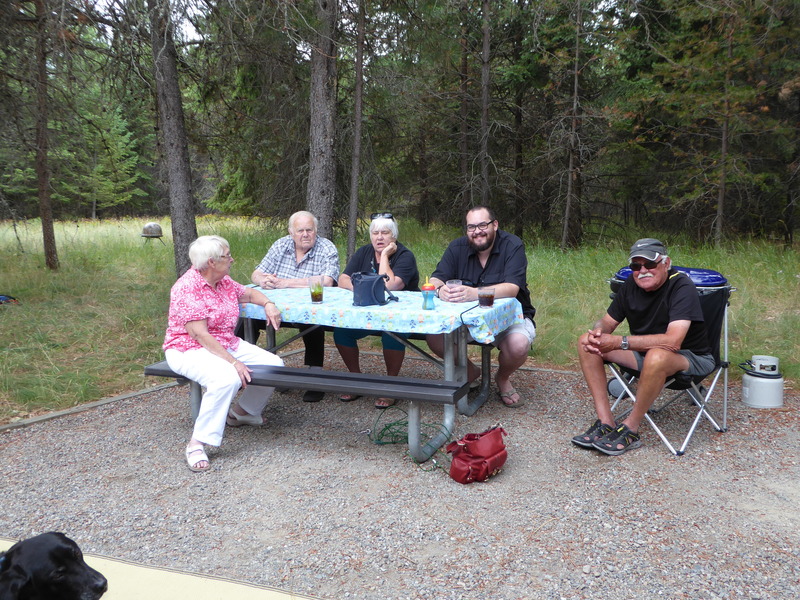 While we were enjoying our visitors, Randy and I were also doing our camp hosting thing. I can’t even remember how many times this week we have commented on people behaving badly. We finally got the fire ban on July 12 so that has made the fire issue more black and white. Camp fires are not allowed. Charcoal briquettes are not allowed. Propane campfires are not allowed. Of course, there are still a few who think the ban doesn’t apply to them. Sometimes they are “caught” and sometimes we don’t know they’ve been burning until they are gone and we clean the fire pit. On separate occasions this week Randy and I have each cleaned a restroom. Cleaning restrooms is not part of our volunteer assignment, but when people behave badly (and in Randy’s case – VERY badly) it is hard to just leave them for other campers to work around until the next day’s cleaning. Last night we witnessed our first camper eviction. The campers ignored the rules that allow only two tents and that they must be placed on campsite pads. They had three tents on the grass and were flippant with our partner host when he informed them of the rule. When they chose to leave the tents on the grass, a day ranger issued a citation. When they got mouthy with the night ranger, he evicted them. People behaving badly…. Even today I spoke with some young teens who were behaving badly in the showers. I told the boys they were lucky that I was the one speaking with them because there were other campers who were none too happy with them. At least they were apologetic. We have tried to figure why there are more people behaving badly here than at our previous volunteer gig at Cove Palisades. Is it Idaho clientele versus Oregon clientele? Is it July versus May? 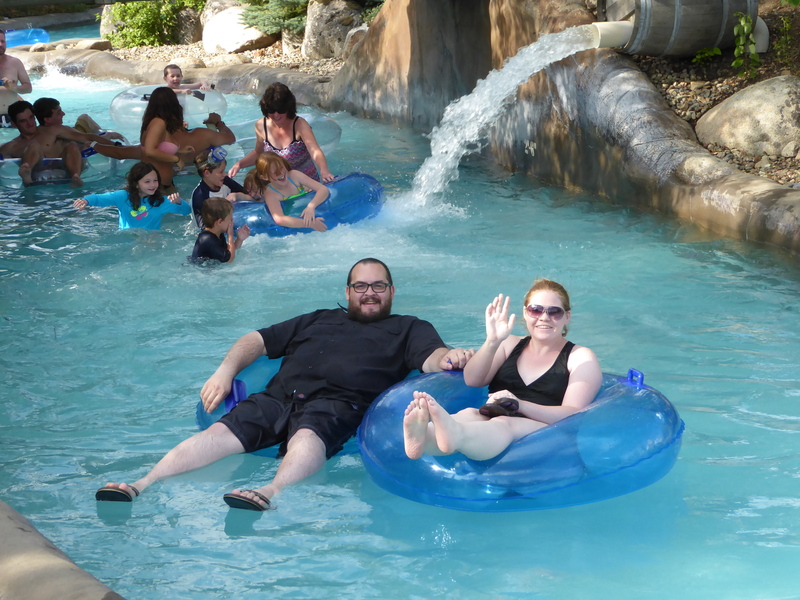 Is it family trips versus mostly couples? Is it the fire restrictions versus fires allowed? Is it something else? We have identified one factor that we are sure impacts the situation. The ability of Idaho rangers to patrol and be a presence in the campgrounds (presumably impacted by funding) is much less than in Oregon State Parks. Whatever the reason, or combination of reasons, we see a difference. We are curious about how we will feel about camp hosting by the end of August. Will we move on to museum, lighthouse or visitor center volunteer gigs? On the bright side, most of the campers at the park are fine and are appreciative of our efforts to make their campsites and campground nice. Our fellow hosts are great to work with and we have a terrific campsite to park in. And, we are in a location where family and friends can visit. Even as we look back on our week with our family, we look forward to next week when we will host friends Darrell, Cindy and Beth!